The design of the Galaxy S9 and Galaxy S9 Plus are pretty similar to their predecessors and for a lot of customers out there, a design change is pivotal to their buying decision. Though both smartphones feature upgrades that will appeal to some users, critics often aimed at Samsung’s lack of creativity. Despite this, both the Galaxy S9 and Galaxy S9 Plus have sold a considerable number of units ever since their inception. According to the company Canalys, 8 million units of Galaxy S9 and Galaxy S9 Plus were shipped within just a month of the announcement. These figures are similar to those of Galaxy S8 and Galaxy S8 Plus in 2017, but significantly lower than those Galaxy S7 and Galaxy S7 Plus in 2016. The firm also said that despite a heftier price tag, Galaxy S9 Plus sales are higher than those of the Galaxy S9. This could be attributed to the 6GB RAM and the dual-camera upgrade. 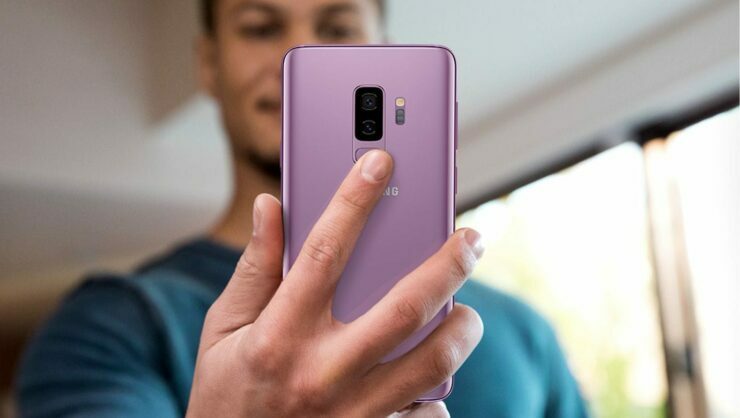 Breaking down the data further, Canalys reported that out of the 8 million units shipped of the Galaxy S9 and Galaxy S9 Plus, 2.8 million were U.S. bound, while 1 million units shipped to Samsung’s home turf Korea. Ultimately, fewer Galaxy S9 and Galaxy S9 Plus units will be sold compared to the Galaxy S7 and Galaxy S7 edge but will parallel the Galaxy S8 and Galaxy S8 Plus. Nearly 48 million Galaxy S7 and S7 Plus were sold in the launch year, while 41 million Galaxy S8 and S8 Plus units were sold last year. 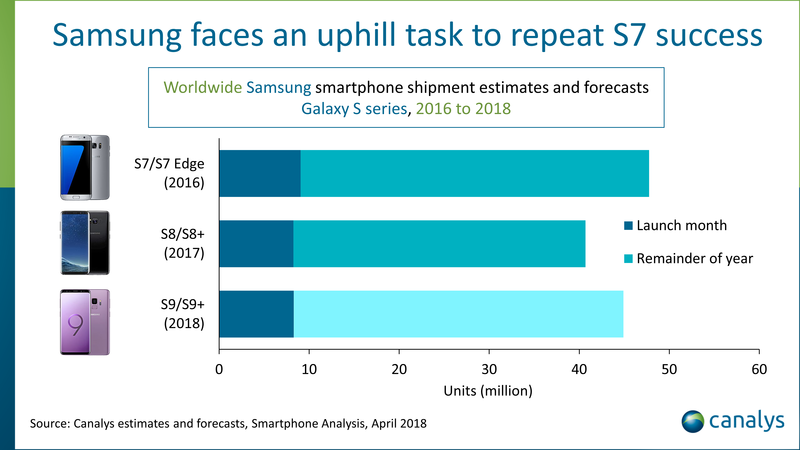 It has not even been 3 months since the launch of the Galaxy S9 series, so it remains to be seen if Canalys’ estimations will become true. The Galaxy S9 tag team was announced in February during the Mobile World Congress (MWC) in Barcelona. The phones started retailing in March. The plus side of owning any device is that the fingerprint scanner has been relocated to a more convenient position. The Galaxy S10 is going to be coming out next year, with rumors suggesting that it is going to be called the Galaxy X. It is expected to feature a ton of improvements from the outside as well as the inside and if you’d like to know more, you can always check out our detailed rumor review of the upcoming flagship.